In the last blog, I have differentiated two of the most interchanged words in the construction world, which are remodel and renovate. I have explained both as to what ‘Kevin Kahl Constructions’ as a design and build professional company think. In this blog, I’ll present a little insight on sun decks which is something that we specialize in. In relation to a house, a sundeck can be defined as- ‘an elevated terace or balcony positioned around the house, generally used as recreational space and an area where you can sit, relax and enjoy the sun’. Decks are usually not at ground level and are primarily made of wood or a composite wood material or vinyl, like Trex. Majority of homeowners request for wooden decks and it is the most common material that is used. Popular woods for decking include redwood, cedar and pressure treated pine. We hand select the wood once the homeowner has decided the kind. Then each piece of wood is scrutinized to make sure that it looks like the adjacent pieces of wood during the construction process. We also match the grain wherein we can cut multiple boards/planks from one very large panel of wood. This allows for the grain of wood to continue through entire area of the deck to create a precise look. Toners are used to ensure a finish that is more beautiful, flawless and durable than any other finish. Decks can be attached to a house or freestanding. Decks often are built to take advantage of a view. Decks can be constructed in different levels and might need railings. Certain types of wood and composite decking are resistant to insects. Unlioke natural wood, composite and vinyl decks don’t splinter and usually don’t warp. However, if properly cared for, wooden decks offer a beauty and warmth unlike any other material. You can streatch out on a wooden deck without a cushion and still be very comfortable. One might include an outdoor kitchen in the deck usually a barbeque or grill. Decks can have temporary covers or a fixed pergola can be built over either for shade or privacy. Homeowners can request for a fire pits, although a fire feature placed on a deck will need a fireproof material separating it from the wooden deck, such as concrete, ceramic, porcelain etc. A deck can also be constructed to surround a pool or a spa. The number of homeowners who are inclined in getting a sundeck is constantly growing as it adds monetary value to any property and visually enhances the house to a great extent. We can create magic in any wood that makes our customers happy. We strongly believe-“Happy Customer means Repeat Customer”. Our engineers and workers are experienced and well trained to say -. ‘If you can dream it, we can build it’. Our primary objective is to complete the job offered to us on time and within budget. We have constructed decks in many homes which have given homeowners and their families happiness and a reason to smile. Many-a-times, we have received compliments from owners, that we have exceeded their expectations and have given them great value for their money. It takes hard work and dedication to excel in this line of business and to get comments like these from customers is worth more than the monetary benefits. As I have already mentioned that ‘Kevin Kahl Constructions’ is in this business since ‘1990’. We have elaborate experience in the field of construction and also learning and upgrading this trade since the last 27 years. 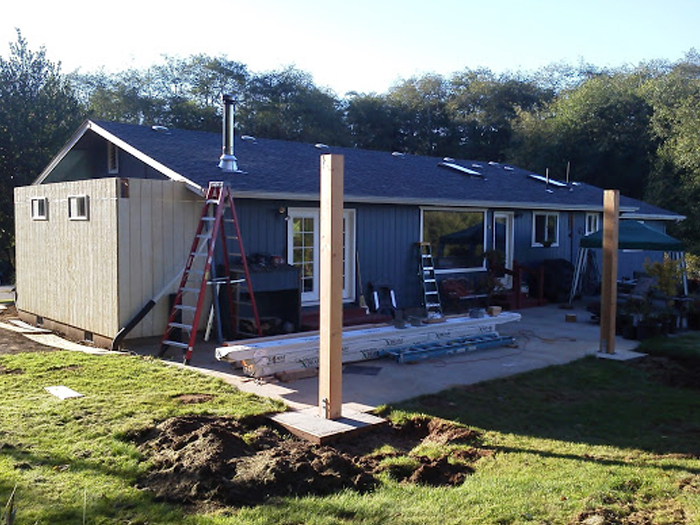 We have been constantly meeting our customer’s expectations and have successfully completed more projects in comparison to other players in the same field in and around the Portland region. Call us @ 503-380-7152for any further queries, quotations, services and satisfaction.